Run npm install --save-dev flow-bin. Run npm run flow -- init to create a .flowconfig file in the root directory. Now you can run npm run flow to check the files for type errors. 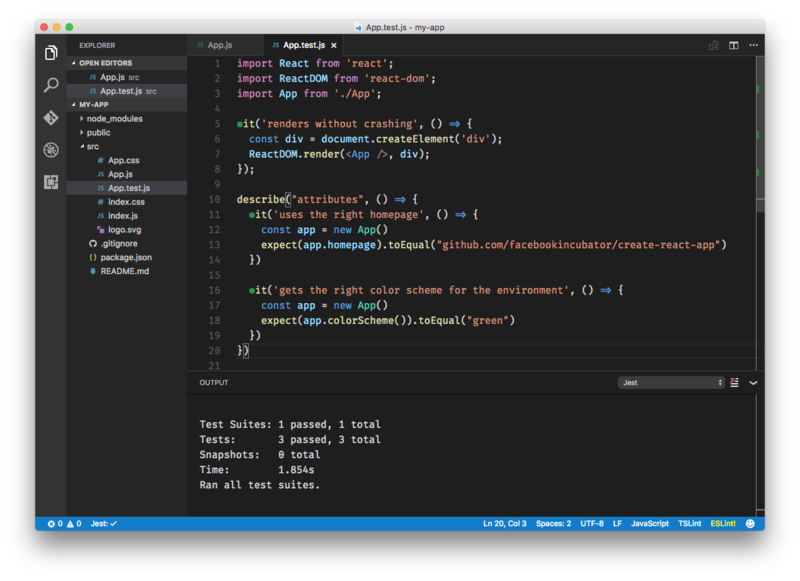 You can optionally use an IDE like Nuclide for a better integrated experience. In the future we plan to integrate it into Create React App even more closely. Create React App is not opinionated about your choice of web server. Any static file server will do. The build folder with static assets is the only output produced by Create React App. See this example for a zero-configuration single-command deployment with now. If the project runs inside a virtual machine such as (a Vagrant provisioned) VirtualBox, run npm install --save-dev cross-env in its root folder and then replace "react-scripts start" in the scripts section of its package.json with "cross-env CHOKIDAR_USEPOLLING=true react-scripts start". This ensures that the next time you run npm start, the watcher uses the polling mode, as necessary inside a VM.